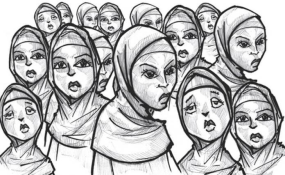 "A few days ago was the fifth anniversary of the abducted girls and that means they were kidnapped more than a year before President Muhammadu Buhari administration came into power. "It was the engagement of this government that led to the release of 107 of the girls and what I can assure you is that the government is still engaging in trying to find out where the girls are and what has become of them. "However, some of these negotiations are very delicate due largely to the fact that it takes a lot of time and there is a sort of rationalization within the terrorist group. "We are still working with our Swiss partners and the others every day so that we can be able to track where these girls are, what has become of them and how many are left. "However, these are not something you can disclose, anyhow because of the sensitivity," he said. The minister said that fake news was one of the major threat to the general elections, to the extent that some people had posited that "If there are polling booths on social media the opposition would have probably won". Many of the younger ones are carried away by the terrorists' ideology because they feel hopeless, excluded from governance.